Michelle Witte brings with her a wealth of experience to her work as a children's literary agent with Mansion Street Literary Management, where she represents middle grade and young adult fiction and nonfiction. Over the past nine years, she has worked in a variety of positions that encapsulate the various stages of a book’s publication, from the idea and writing stages to editing and design, bookselling and publicity. With her editorial background, she has a keen eye for quality prose and storytelling. But it is her overall experience as a reader, writer, editor, and bookseller that guides her as she searches for enthralling new writers and manuscripts. Michelle began her career as a journalist, first reporting and then later copy editing for the Deseret Morning News in Salt Lake City, Utah. From there, she transitioned with her editing skills to nonfiction publisher Gibbs Smith, where she oversaw creation, editing, and production of more than thirty titles, including children’s activity, humor, gift, cookbooks, and a smattering of other topics from blacksmithing to green living. 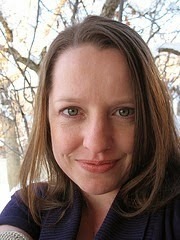 In her spare time she writes on a variety of topics and genres, though her great love is young adult fiction. Her first book, The Craptastic Guide to Pseudo-Swearing was released 2012 by Running Press, followed a year later by The Faker’s Guide to the Classics: Everything You Need to Know About the Books You Should Have Read (But Didn’t), from Lyons Press in 2013. It rotates, depending on what I've read recently or what I'm reminiscing about at the moment, but these three are almost always in the top 10: Matilda by Roald Dahl; Crown Duel by Sherwood Smith; and The Graveyard Book by Neil Gaiman. I tend to go through Netflix binges, so my favorite will probably depend on the day and/or show I'm currently binge-watching, though I'm always up for a good k-drama (Korean drama, for the uninitiated). Some recent faves include Longmire (about a sheriff in Wyoming; it's a lot more interesting than it sounds, and the cultural dynamics are great), Haven (sci-fi based on a Stephen King short story), and Hart of Dixie (NY doctor in smal-town Alabama). I'm also inordinately excited about the upcoming Galavant. (Google it. Seriously. You won't be disappointed.) If you can't tell, I'm a bit all over the place. Same goes for my reading habits and interests as an agent (hint, hint). My ideal client is someone who is able to take feedback (and even criticism), and then leap into revisions, producing something so much better than I could have imagined. Good communication is essential, as is a willingness to have a dialogue about issues instead of holding things in until they explode. I'd love to get more queries for narrative nonfiction, for both MG and YA. And by that, I mean stories that read almost like fiction but are based on fact, Truman Capote's In Cold Blood being one of the most famous examples. I'm fascinated by pretty much everything David McCullough writes, and Sam Kean's ability to make even the elements on the periodic table utterly enthralling is on the point of brilliance. Writers, send me stuff like that—but for kids. The best—I love discovering new authors and falling in love with stories and characters that become an important part of my life. The worst? Rejection, both in sending it to authors and receiving it from editors. Learn everything you can. Be open to feedback, even if it seems utterly ridiculous at first. Don't shoot off emails or respond to reviews in anger. Be professional. But most importantly, have fun. Kids can tell when a writer's heart isn't in the story. Couldn't we just have a party? I've had lunch and/or hung out with some pretty amazing writers—some famous, and some who I hope will become household names someday—and there are plenty who I'd consider close friends. It's one reason I'm so enthusiastic to participate in local writing events, because it's like a big family reunion, seeing various authors at different conferences and events throughout the year. Recently, my sister and her husband got to hang out with some of these writers during Salt Lake Comic Con, and they had a blast. I just like talking to writers in general. Most of them are great storytellers, if you can believe it.